We finally have some good news about the next-generation VW Golf. This year’s Frankfurt Auto Show was supposed to host the world debut of the new eighth-generation Volkswagen Golf. Unfortunately, the hatchback’s reveal has been delayed until next year to give VW more time to work on some of the car’s digital features. 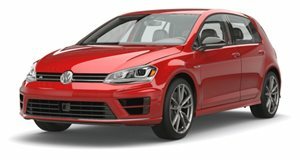 Since VW models tend to launch in the US around a year after Europe, we probably won’t see the new Golf in the US until 2021. It’s not all bad news, though, as it turns out the new Golf GTI and R will be arriving sooner than we expected. Traditionally, the high-performance versions of the Golf arrive a few years after the standard model, but this won’t be the case for the eighth-generation model. The new Golf is expected to go on sale in Europe in early 2020, but we won’t have to wait long for the hot GTI version and the even hotter R version this time. A spokesperson has confirmed to Australia’s Wheels that the GTI will launch in Q3 2020, while the range-topping Golf R will "follow later in the year.” The spokesperson was referring to the Australian market, but both models will likely launch in Germany first before arriving in other European countries and Australia. Hopefully, this means the US will get all three models in 2021. Leaked photos have shown the new Volkswagen Golf will have an evolutionary design to avoid alienating fans of the hatchback’s iconic shape, while power is expected to be provided by a range of gasoline and diesel engines. The new GTI will retain the current model’s 2.0 TSI engine, but the new Golf R won’t be as powerful as the 400-hp Golf R 400 concept since VW doesn’t believe there is enough demand for a hot hatch with this obscene level of power.